Who's Claiming They Have The 'Avatar' Of 3D Video Games? Crysis 2 makers Crytek are, saying that they've created "a benchmark 3D implementation" with their upcoming sci-fi shooter, one they're likening to James Cameron's billion dollar blockbuster Avatar. But what does James Cameron think? 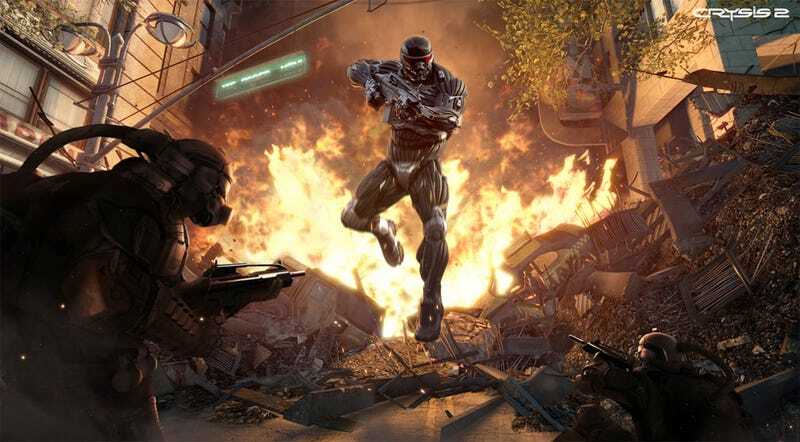 According to an interview with Crytek's Cevat Yerli in the Edge magazine, Cameron loves him some Crysis 2, having gotten a peek at the first-person shooter running in 3D. Yerli believes that "[Cameron's] eyes are trained for 3D more than anyone else's, and that makes me confident that we have a super-high-end 3D experience on all formats." I wonder if the makers of Avatar: The Video Game take issue with Yerli's opinion of his own game. Crysis 2 will release on the PC, PlayStation 3 and Xbox 360 in late March, so we can experience this stereoscopic 3D benchmark for ourselves.